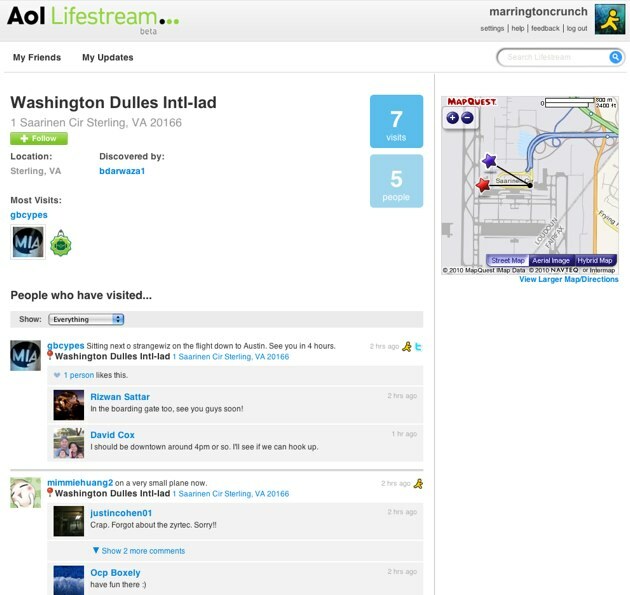 Aol launched Lifestream, a social aggregator and publisher, as part of their AIM platform at TechCrunch50 Last Fall. Since then it has gained nearly 2 million users, say Aol. Based on that success Aol is now launching Lifestream as a standalone product at lifestream.aol.com. Like Friendfeed, Lifestream aggregates a number of third party social networks – Facebook, Twitter, MySpace, Foursquare, Delicious, Digg, Flickr, YouTube, etc., so if you follow a Lifestream user you’ll see all of the content that user publishes on those networks, and Lifestream automatically pulls in content from people you already follow on those various social networks, so you don’t have to create yet another new friend list. Lifestream isn’t yet integrated with Google Buzz, but Aol says it may be coming soon. 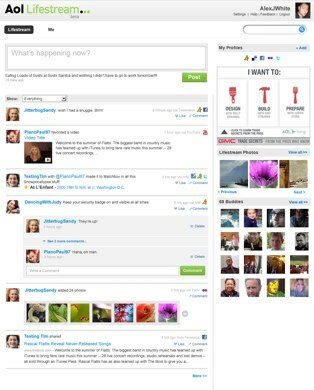 Lifestream also lets users publish back to social networks. 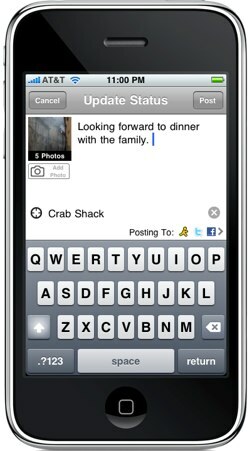 Status updates posted to Lifestream can be posted back to Facebook, Myspace and/or Twitter. Lifestream also optionally notes your location in your status updates via GPS on mobile devices, or you can manually add it instead. That’s not it though. Users can sign in to Lifestream using their Facebook account via Facebook Connect, making it unnecessary to remember separate account and credentials for the site. You also have a variety of choices in how you use Lifestream. You can access it via the website, an AIR application, or via iPhone and Android applications. As I said above, the mobile applications are particularly useful because they auto-note your location for easy check-ins, and you can post pictures you take from the phone. That mobile version of the product is what excites me most. You can see where your friends are checking into on, say, Foursquare, click through to a place page and then go there yourself and check in. And Lifestream allows you to follow places just like people, so you can see whenever someone checks in to your local cafe or bar. That ability to follow places is probably the single best reason to use Lifestream. The Lifestream product is simple, intuitive and really, really useful. Frankly it’s what Google Buzz should have been – both an independent social network on its own, but very deep integration into all of the other social networks you are likely to use daily. It’s nice to see actual innovation coming out of Aol.